The German ratifying legislation had been passed by the country’s parliament and was ready for signature by the German president. 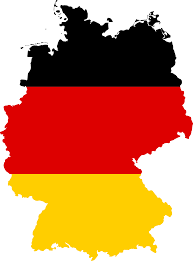 The Unified Patent Court (UPC) system in Europe has been put on hold after the Germany’s Constitutional Court formally requested the German president refrain from signing the legislation into law while it considers a legal challenge that has been lodged. Exact details of the grounds for the complaint and who has raised it are not yet known. The UPC Preparatory Committee had previously stated that the original target date of December 2017 for the UPC to become operational was no longer achievable. It is thought that a ruling on whether Germany should ratify the UPC system could take up to a year to be reached which would push the UPC operational timetable back to the end of 2018 or early 2019. This delay in ratification by Germany could also impact the UK’s timeliness in ratifying the UPC. The introduction of the Unitary Patent (a single patent covering multiple countries) and the establishment of a new patent court, the Unified Patent Court (UPC) will affect holders of existing European Patents as well as those seeking new protection for inventions. Businesses will be able to apply to the European Patent Office for unitary patents which, if granted, would give patent protection for inventions across 25 countries. For the new UPC system to become operational, at least 13 EU countries (including Germany, France and the UK), must pass national legislation to ratify the UPC Agreement that was finalised in 2013.